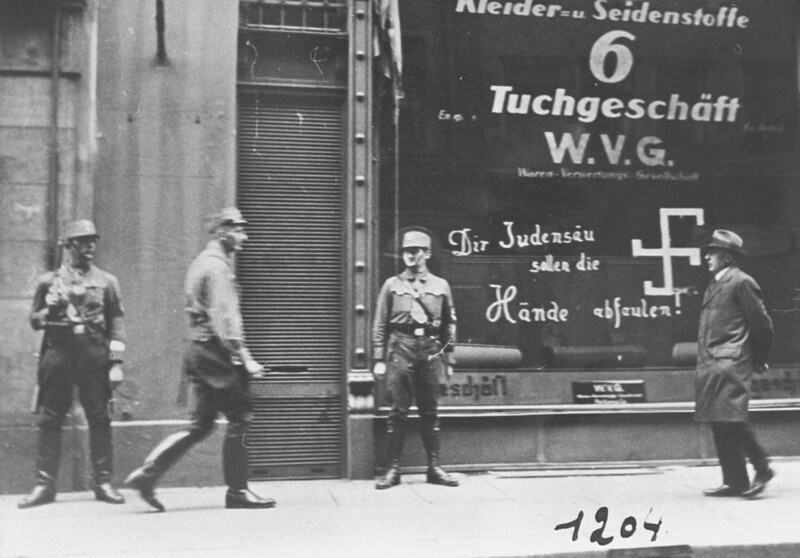 Shortly after the German annexation of Austria, Nazi Storm Troopers stand guard outside a Jewish-owned business. Graffiti painted on the window states: "You Jewish pig may your hands rot off!" Vienna, Austria, March 1938.